These days, music is carried on portable devices, though CD’s still have their place. 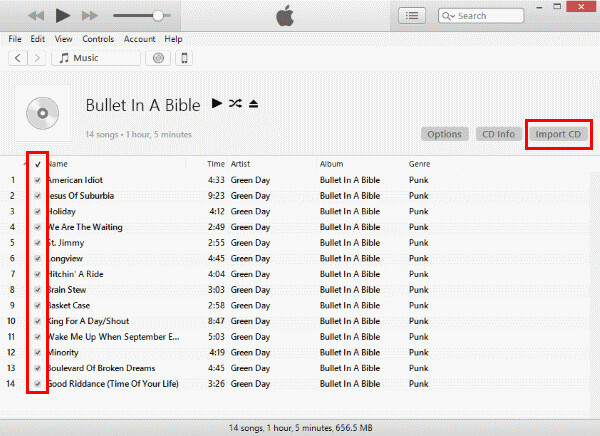 Maybe you bought a physical copy of your favorite band’s album and don’t know how to transfer music from CD to iPhone. Maybe you have a lot of your old music stored on CD and want to transfer it to new media. Step 1: Put a CD into your computer’s CD tray. Step 3: Click the CD button (it looks like a little disk up top). Step 4: iTunes will ask you if you want to import the CD. If you want to put all the songs from the CD into the iTunes library, say “Yes”. Step 5: From there, you can select individual songs and click “Import CD” when you’re ready. Step 6: Select your import settings and hit “OK”. 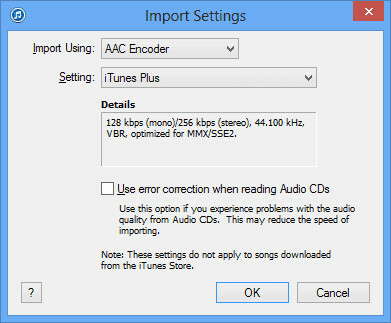 You can choose the AAC Encoder, MP3, or others. Hit “OK” once you make the selections. Step 7: Let iTunes rip the songs for you. It will tell you when it’s done. iMyFone TunesMate iPhone Transfer is a device manager that works with pretty much all iOS devices. 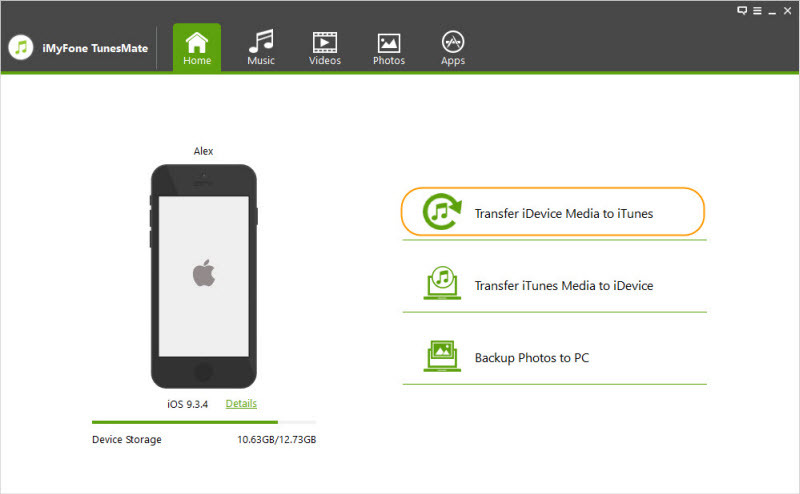 It can transfer music to iPhone from several sources: computer, iTunes, external flash drives, CD, MP3 player, etc. With it, it's much easier to transfer CD to iPhone without iTunes. Extract music from iPhone to computer, iTunes, external hard drive, etc. Sync music from iTunes library to iPhone without deleting old music. 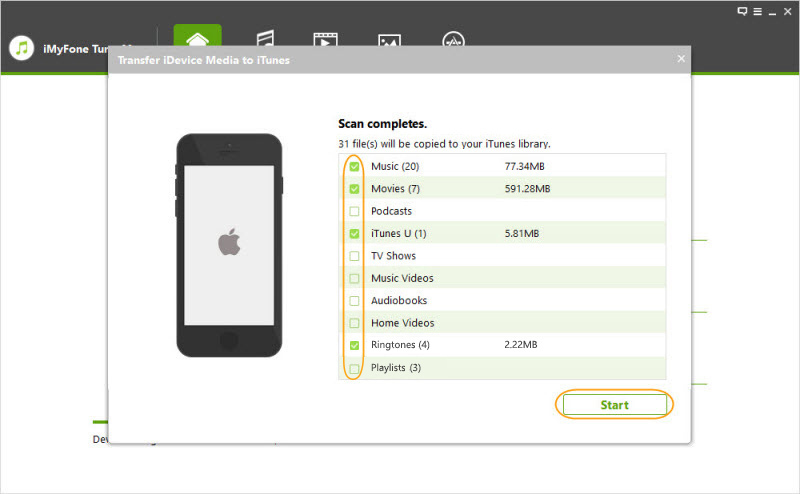 Support to transfer music, playlists, movies, camera roll, photo library, podcasts, iTunes U, TV shows, audiobooks etc. Trusted by thousands of users (every year) and reported by well-known media around the world, like Geekreply, tricksworldzz.com, etc. After following the "Part 1" to rip the CD, just download Tunesmate's free trial and follow the steps below to transfer music to iPhone. Step 1: Install and launch iMyFone TunesMate. Plug your iPhone into your computer’s USB port. Step 2: Hit “Transfer iTunes Media to iDevice” from the home interface. Step 3: Uncheck others media and just leave the CD item checked. Hit “Transfer” to start. If you want, you can transfer your music from your CD to iPhone using iTunes. 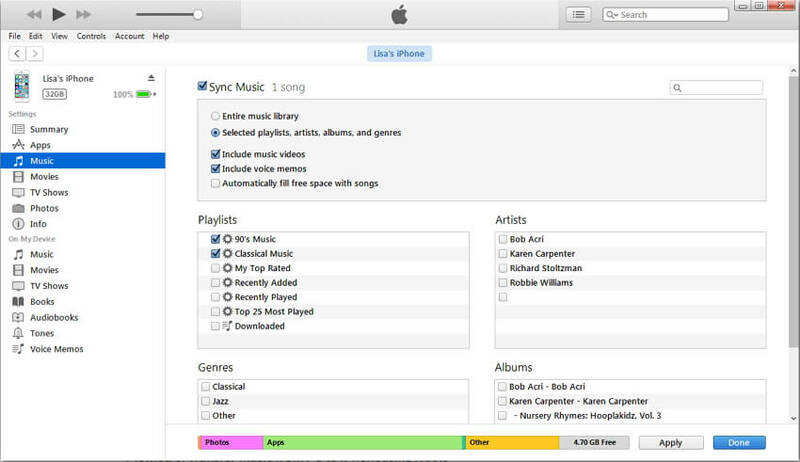 But note that the existing music library on iPhone will be replaced with the CD. After it is done ripping, click on the device icon for your iOS device on iTunes. When the summary screen comes up, click “Music”at the left menu. Find the music album from the CD that you ripped and check it. iMyFone iPhone Transfer not only works for music transfer, but also gives you tips to manage your iPhone music in a good way, especially when you have a large music library on iPhone. Edit music info for your songs, like names, artwork, albums, artists, etc., so you can include them into the same folder. Create new playlist and drag your favorite music into the same playlist. 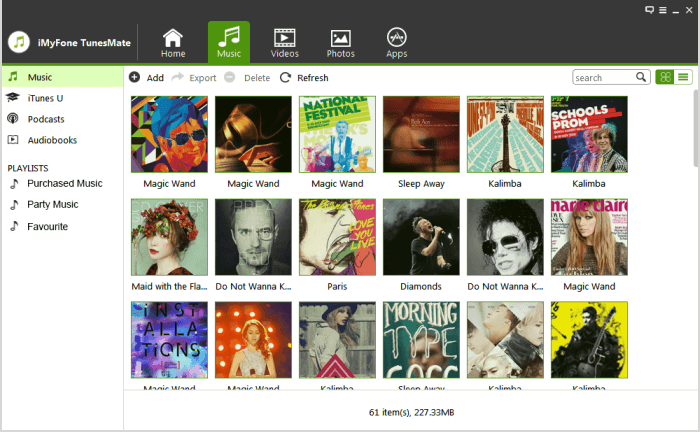 Manage different playlists, so you can choose the right playlist to enjoy. Back up iPhone music and restore backups without data loss. Restore/rebuild iTunes library from iPhone if you want to listen to music on computer. I suppose you can find the great from above to transfer CD to iPhone. If you have a large music library on iPhone, it is suggested to manage so that you can enjoy favorite songs in a smart way.